Book your Christmas dinner at The Rivals - with free fizz. 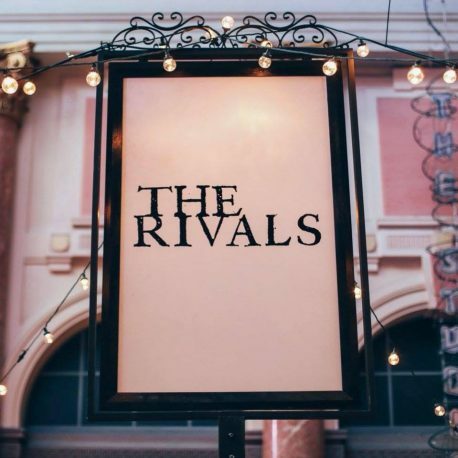 Looking for a place for your Christmas get together- or even a larger office meal – then head to the grand surrounds of The Rivals at The Royal Exchange. There are set menus to order from for Christmas style lunch (£19 for two courses, £22 for three) or dinner (£22 for two courses, £27 for three), and an A La Carte option for those who don’t like to decide in advance. As you would expect from head chef Anna Fysh (ex Gray’s Larder) and The Rivals (co-owned by award winning pub makers, Jamie and Goska Langrish and Rupert Hill), the restaurant have taken some old favourites and given them a modern charm. The menu includes pumpkin soup served with a blue cheese brioche to start or smoked salmon with whipped crab mousse and picked apple. For main event, choose between wild mushroom and chestnut stuffed savoy, maple glazed parsnip, garlic gravy or go the more traditional route with and apricot and thyme stuffed turkey, sprouts with chestnuts and all your favourite trimmings. Puddings are another dream to behold; go for dark chocolate mousse cake with drunken cherries and clotted cream or Christmas pudding sundae, rum soaked raisins and brandy cream. If all this doesn’t have you salivating and reaching for the booking form there’s an added incentive of a free glass of fizz on arrival for your party if you book before Thursday 15 November.